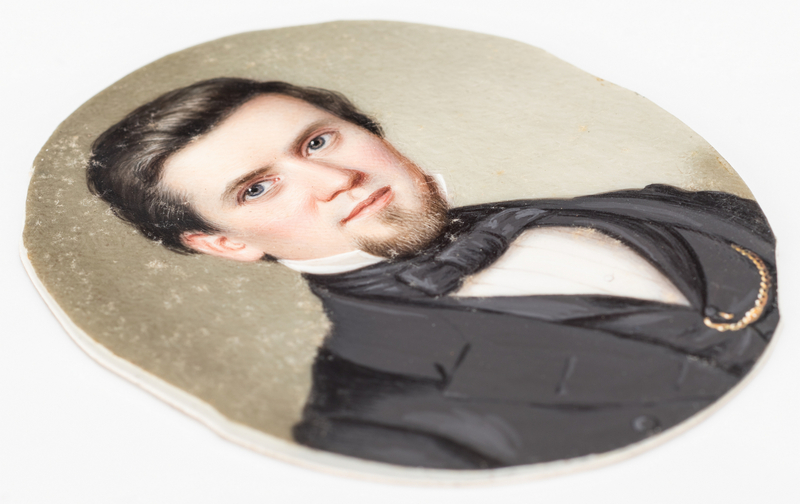 John Wood Dodge (New York/Tennessee, 1807-1893) miniature oval watercolor portrait of Charles Thompson of Tennessee, painted 1852. 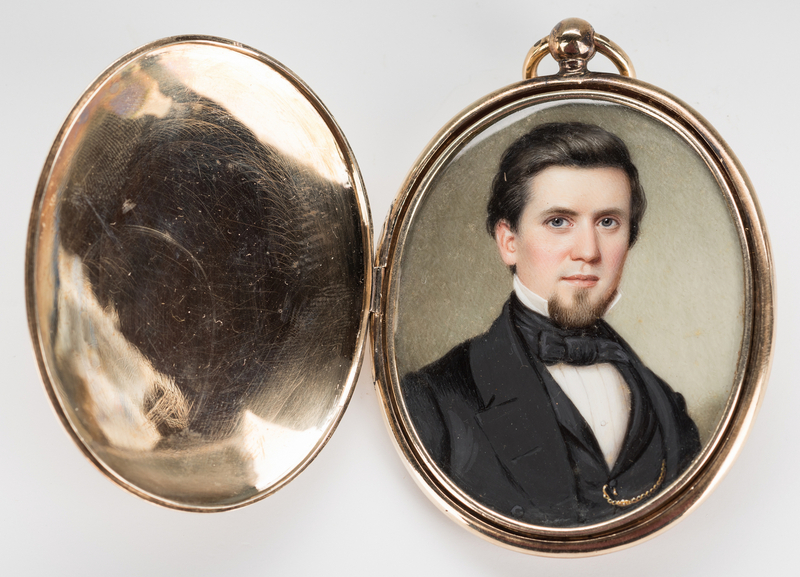 The subject, who appears to be about age 30, has dark hair and blue eyes and a dark chin beard, and is depicted wearing a black suit with white shirt and black tie and a gold watch chain. 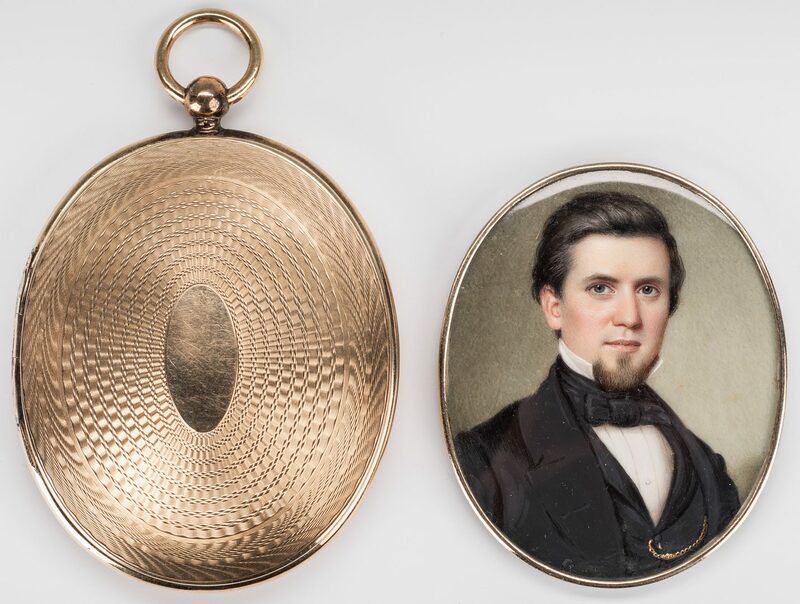 Housed in an oval gold metal locket with engine turned decoration. 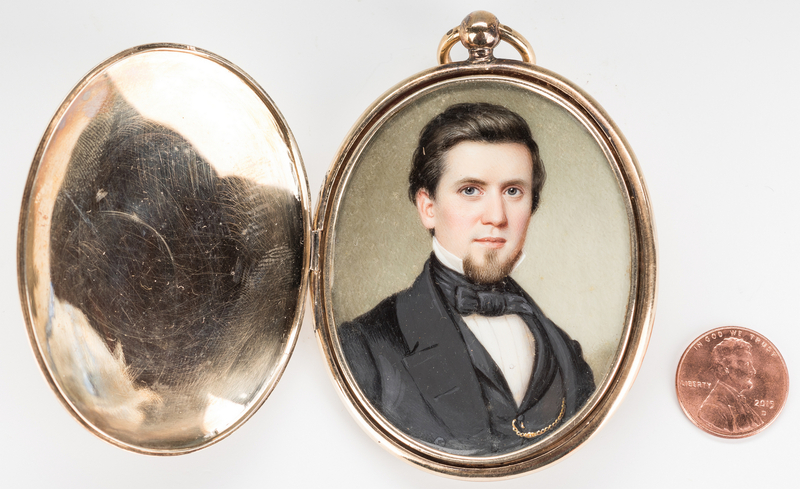 Inscription on back: "Painted by John W. Dodge Nashville Tenn. April 1852 / Likeness of Charles Thompson". 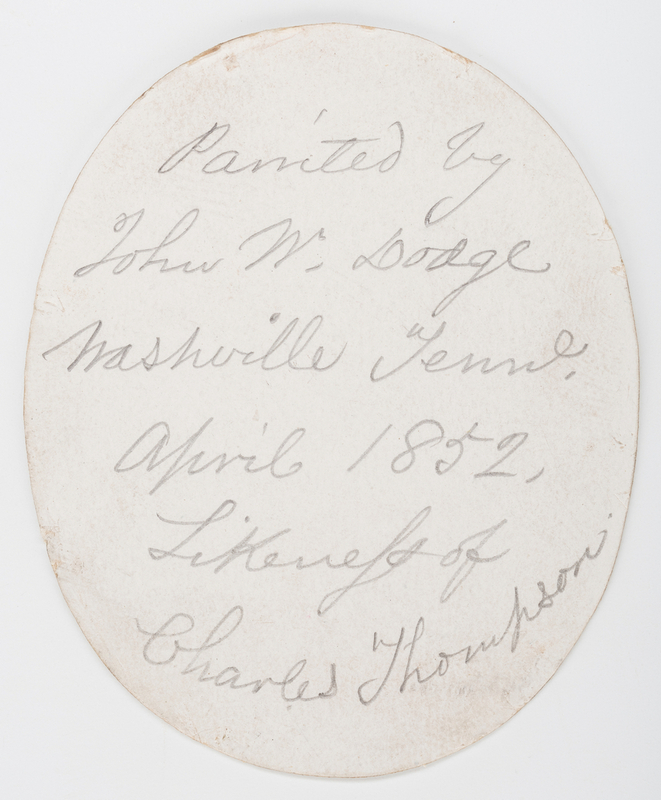 Dodge's account book contains an entry for a portrait of Charles Thompson, and also for George Torrence Thompson Jr. (Ref. Raymond White, Tennessee Historical Quarterly, Spring, 2000). 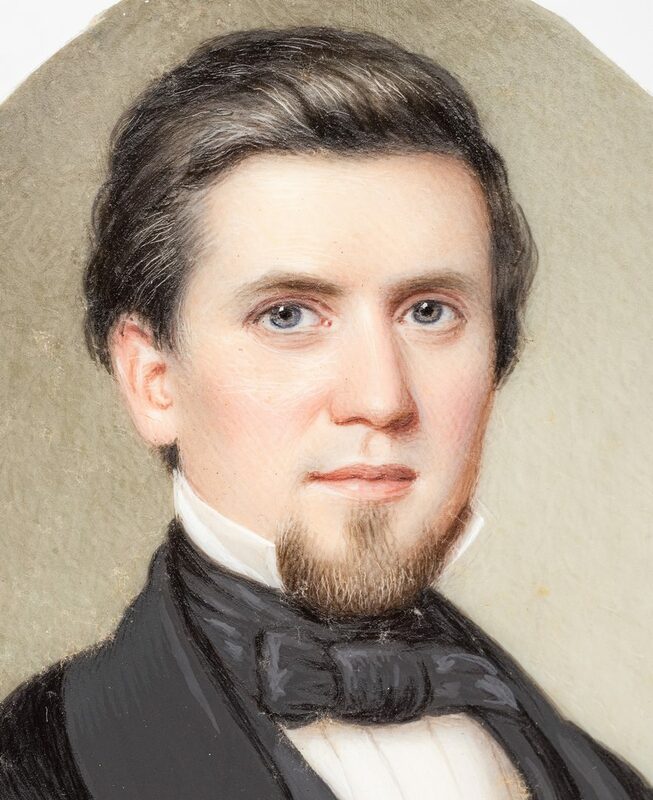 Charles A. R. Thompson (b. Cincinnati, Ohio, 1825- d. Nashville, 1898), brother of George Torrence Thompson, was a wealthy Nashville merchant who built Edgehill Mansion. 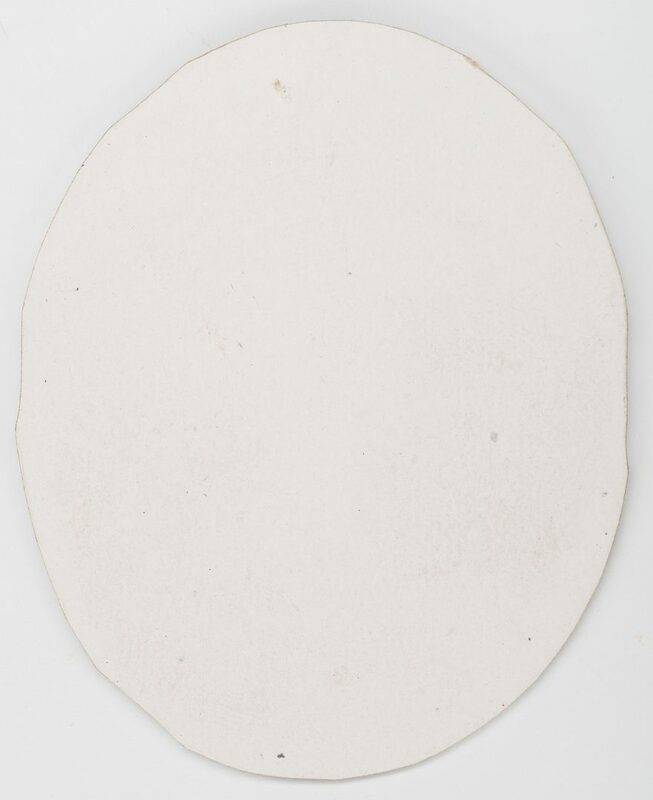 According to The Peabody Reflector Magazine (Vanderbilt University, Summer 2000), "Thompson and Company, located downtown on Fifth Avenue, was the cityís most prominent merchant of silver, china, furs, wools, linens, and laces, as well as exquisite items such as ball gowns, bridal trousseaux, gloves, shawls, and parasols. 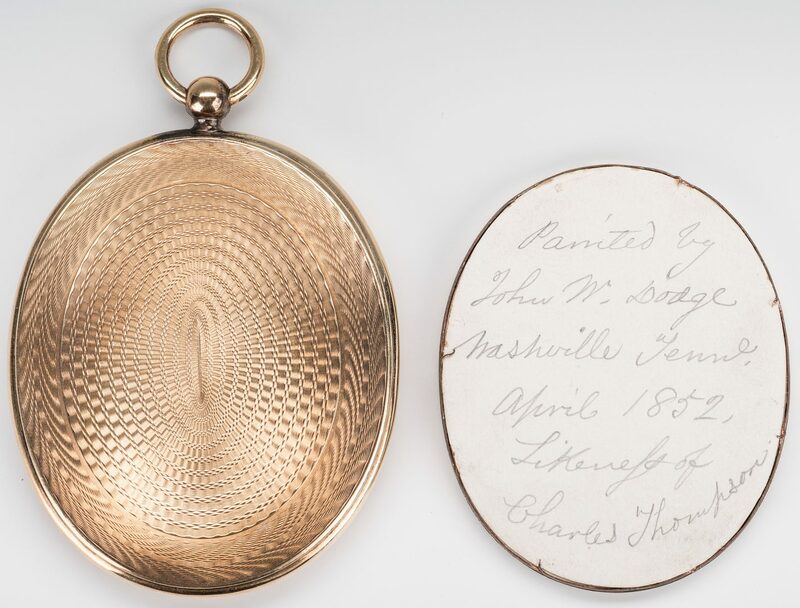 For most of the 19th century, century and until its closure in 1932, the store was a Nashville staple, serving as a social gathering place for the city's gentry". 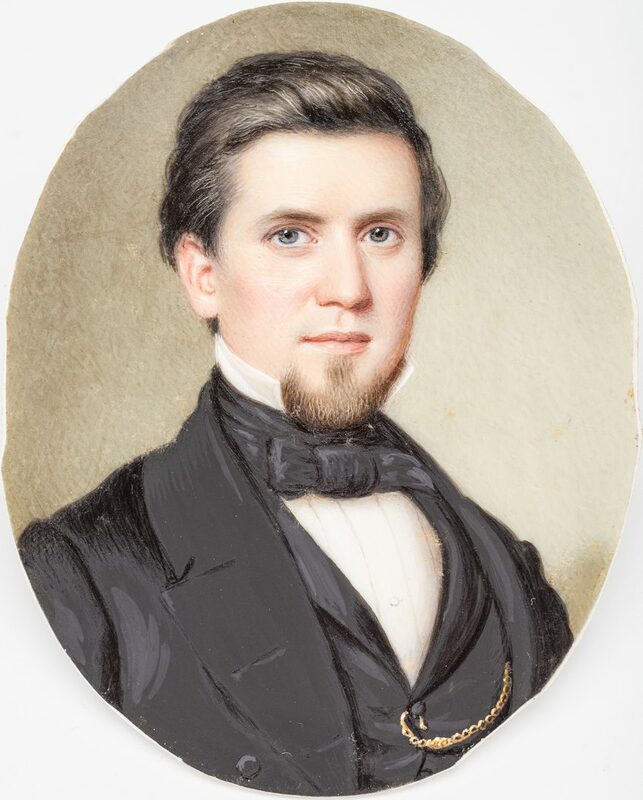 He married Kate Morton White, adopted daughter of John J. White, an attorney in Gallatin, TN. Provenance: The collection of internationally known ragtime pianist and historian Johnny Maddox, Gallatin, TN. CONDITION: Portrait – excellent condition. 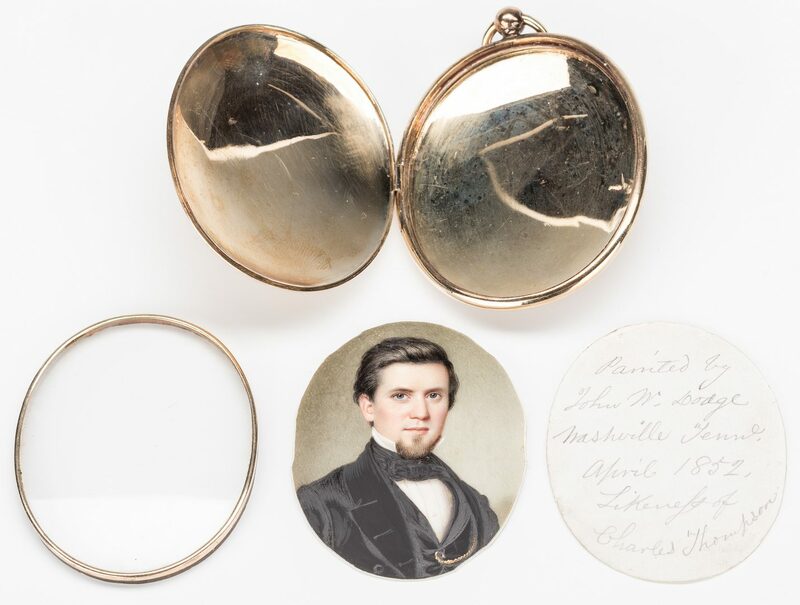 Locket has some discoloration around hinges and top ring.